The Schott Titronic Basic Manual Titration Burette is the perfect alternative to conventional glass burettes and bottletop titrators. Titrations can be performed by the click of a button with a digital readout of volume. Equipped with a motor driven piston burette, manual titrations can be performed with greater precision and accuracy. 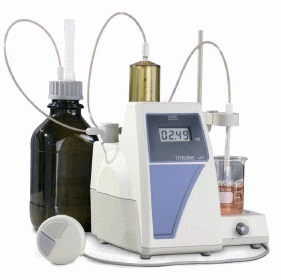 The Titronic Manual Titrator comes complete with a 20 mL burette, magnetic stirrer, mouse, titration tip, holder and reagent reservoir.